Strawberry Cough x Puna Budda is a hybrid strain, This strain's genetics include: Strawberry Cough, and Puna Budda (Budha). It originates from: Afghanistan, Colombia, India, Mexico, and Thailand. It may taste fruity, spicy, earthy, sour, piney. 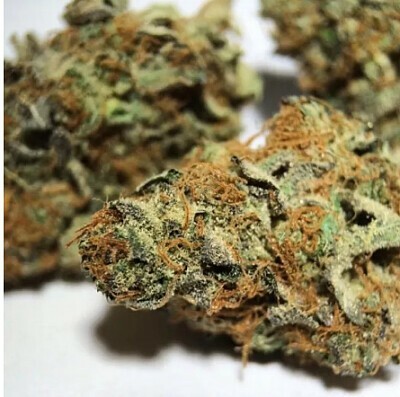 When smoked, this strain can make you feel euphoria, creativity, calm, numbness, appetite gain, and pain relief. A mix of Hawaiian and Afghani genetics. A very stony strain whos effects last for hours, at once relaxing and euphoric...sweet bag smell and great taste, nice solid nugs and a perfect day or night strain.